More than 200 years after his death, Mozart’s enchanting final masterpiece still packs theatres all over the world. Light triumphs over darkness as we follow the young lovers on their perilous journey through a mysterious land of sorcerers and magic. Filled with ritual and Masonic symbolism, The Magic Flute is a playful but profound look at man’s search for love and his struggle to attain wisdom and virtue. From the virtuosic arias of the Queen of the Night to the folksong-like melodies of the bird catcher, the full range of Mozart’s miraculous talent is on display in this captivating opera. 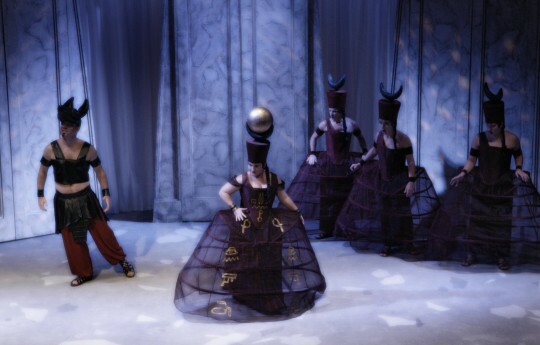 With stunning costumes by Gabriella Ingram and a striking set by Gary McCann, The Magic Flute toured to 34 venues throughout the UK conducted by John Beswick. 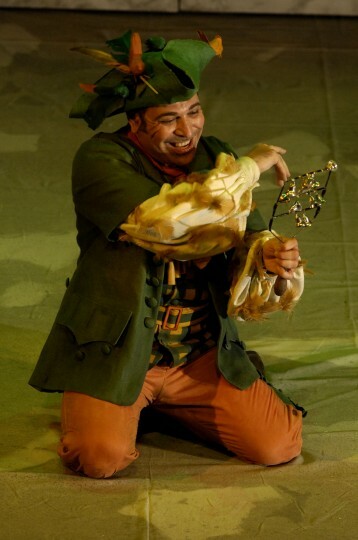 THAT The Magic Flute is toured at all is unusual; that it is toured this well is remarkable. 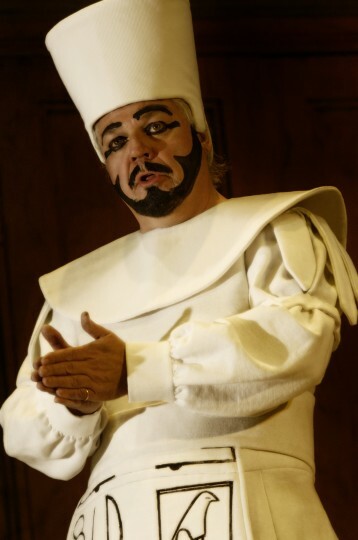 Swansea City Opera have overcome its demand for technical complexity and a large cast – and the big budget this implies – to make a production of absolute integrity at modest cost…. And such singers! All were impeccable, with the well-matched techniques vital for this ensemble piece. At the same time its lovers Tamino and Pamina – the principal ‘human’ (as distinct from ‘symbolic’) characters – have to develop convincingly. All was achieved. But for me the most remarkable achievement was the arrangement, by musical director John Beswick, of Mozart’s score for just three woodwinds, a single violin and cello, plus keyboards. Beswick’s ingenuity ensured that no orchestral nuance or tone colour was missed in music as diverse as Pamina’s Italianate arioso, The Queen of the Night’s coloratura, Papageno’s street songs and the Bachian counterpoint of ensembles and chorale melodies associated with Sarastro. The simple yet powerful set consisted of three temples representing nature, reason and wisdom. 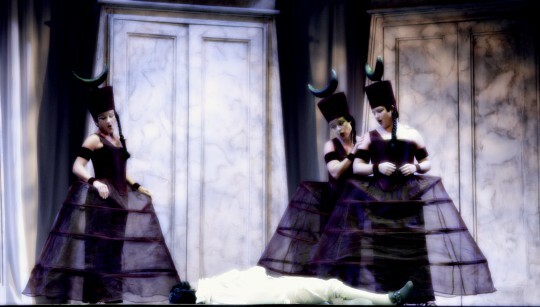 Graphics of the opera’s magical sequences were projected on to their doors, helping to separate two-dimensional symbolism from the flesh-and-blood humanism of the singers in front of them. And such singers! All were impeccable, with the well-matched techniques vital for this ensemble piece. In particular, John-Colyn Gyeantey’s Tamino and Michaela Bloom’s Pamina were beautifully sustained, despite Pamina’s second act aria lacking intense introspection. And Rebecca Ivey’s Queen of the Night was spine-tingling. Thank you for a truly wonderful performance last night. This was the best Magic Flute I have ever heard/seen in over 40 years of opera going. Every single member of the cast was superb and the orchestra was brilliant. I thought last year's Daughter of the Regiment would be hard to beat, but your Magic Flute is an absolute joy. It was brilliant. 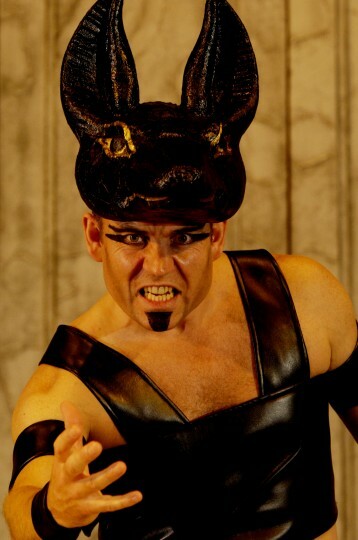 Splendid voices, wonderful acting, innovative production, just what touring opera should be about – bringing opera to small venues at affordable prices, really making it accessible in all ways to an ordinary audience, and the diction knocked spots off that of Opera North! What’s the point of opera in English if you can’t understand the words! My students thoroughly enjoyed it – it was a wonderful introduction for them. I thought the production of The Magic Flute was superb. For the first time, after many performances of the opera with different companies, it was easy to understand the performance. It was a great night, the singing was excellent, a wonderful use of lighting and a very clever production, beautifully dressed! Thank you for an evening when I was completely absorbed. We really loved the show. This was the first opera I took my 12 year old daughter to and she was amazed. 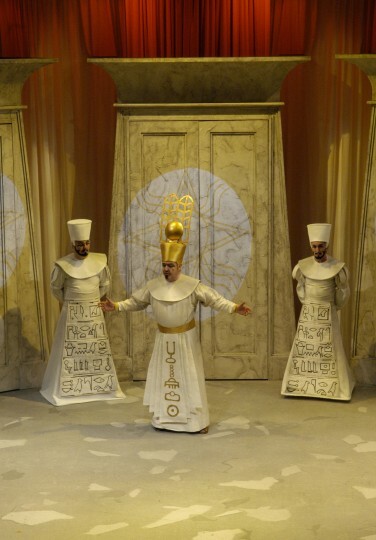 The costumes and set were very striking and the singing was extremely good and professional. Please come to Tewkesbury again soon. Did not expect such a wonderful performance, my experience of opera is Opera North and I thought maybe your opera would be 2nd best – but not so. Do return to Oldham!